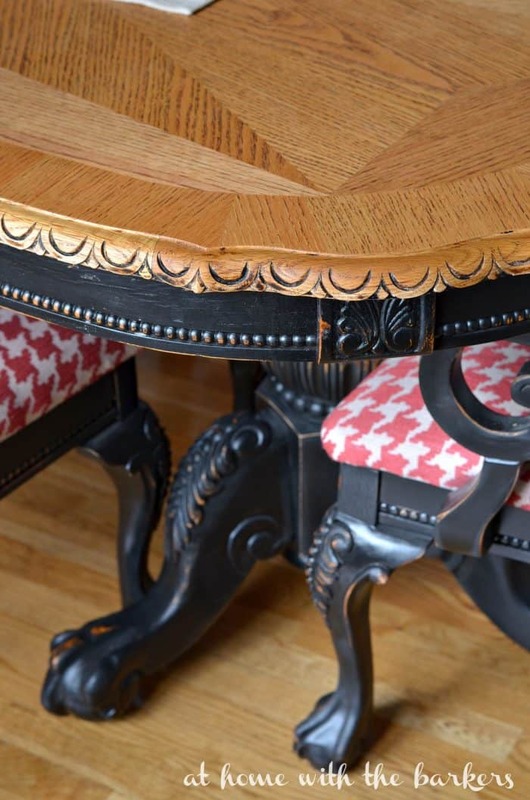 Ever wish you could makeover a piece a furniture in an afternoon? Well you can. 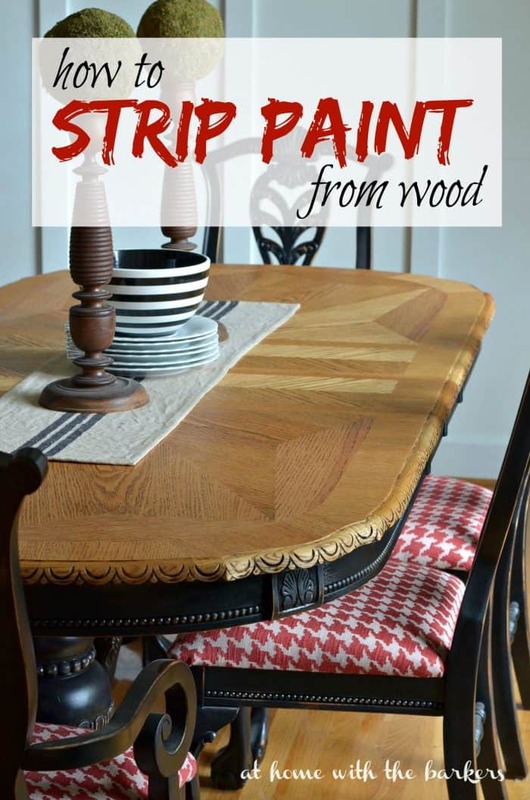 Follow the instructions below on how to strip paint from wood for you can have a new looking piece today. Hey there sweet friends! I hope you have had a great week. I had a million things I really needed to accomplish and stripping paint wasn’t really on the list. As with any idea my little mind comes up with I tend to jump in full force. So today I sharing with you what happened with that one little thought. 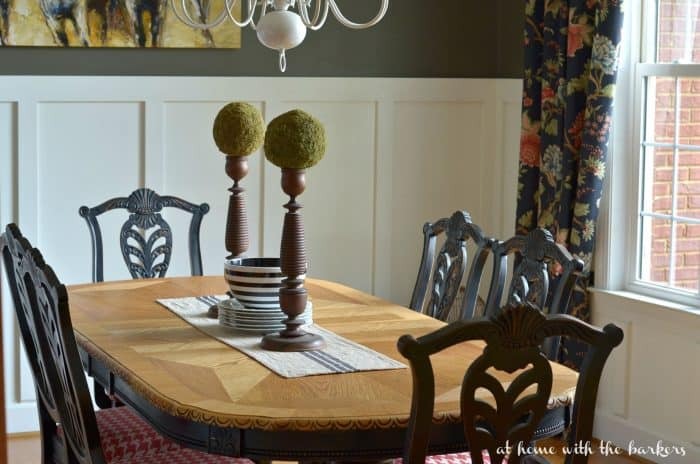 If you are new to reading my blog (yay happy you are here) you should know I spray painted my dining room table a few years ago. It has held up so great I hadn’t really wanted to change it but I have been finding myself needing things brighter. 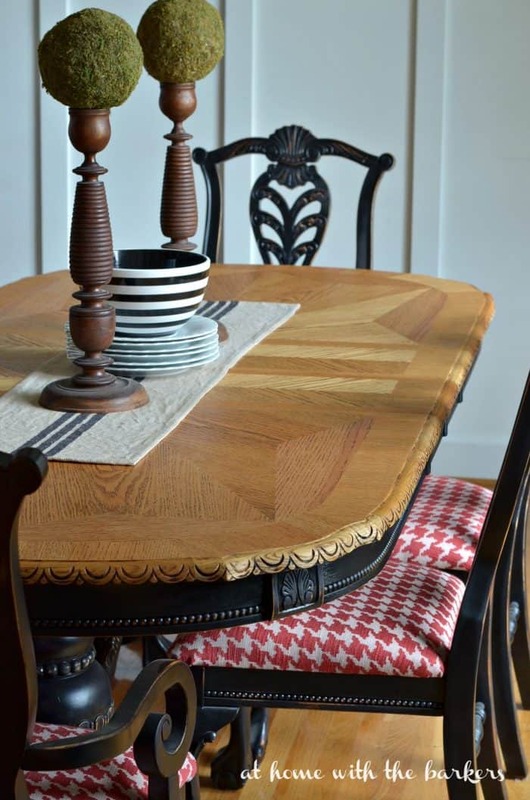 I’m in love with two toned furniture and thought this table would be a great project. Here is what it looked like before I started. 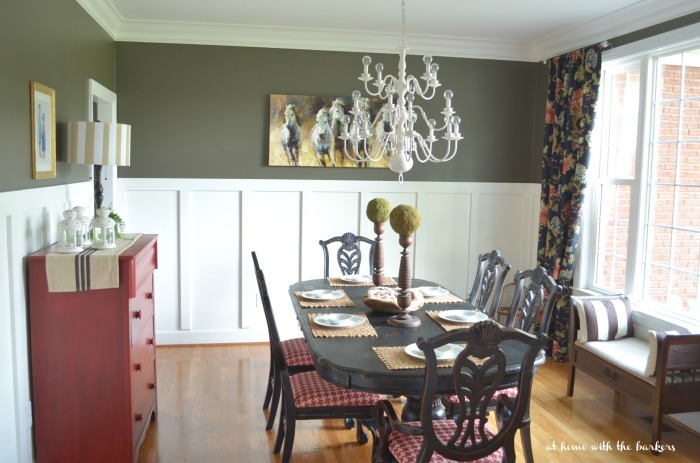 See the full dining room summer decor HERE. I wanted to leave the bases and chairs the distressed black but I knew the inlayed wood underneath would look great. So, stripping paint was a Tuesday morning thought and a Tuesday afternoon DIY. 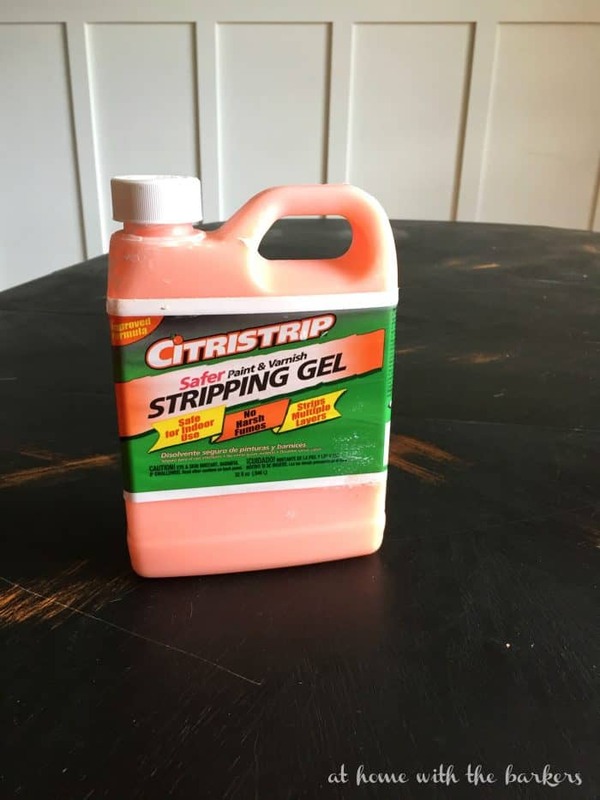 I used my favorite stripping gel because it is safe for indoors and has no harsh fumes. Like many times before I jumped on this project while my hubby was out of town 🙂 and moving the table to the garage was not as option. Two thumbs up for getting things done all by yourself!! Follow the instructions on the container for applying. Be sure to do a good coat, not a thin one. Depending on how many layers of paint you are trying to remove you may have to reapply. I applied one coat. Once it sat for about 30 minutes I started stripping paint with a plastic puddy knife, metal will cut into the wood. Most of it came off really easy. I had to apply a second coat of stripper to a few spots. After I got it all off I wiped it down with an odorless Mineral Spirit because it will remove any of the sticky left over from the paint stripper. I now have a new product that I would highly recommend instead. You can read about it here. Then you can go over with a sander to make sure it is all smooth and even out the finish. If you leave sticky spots the sander will just make it worse. 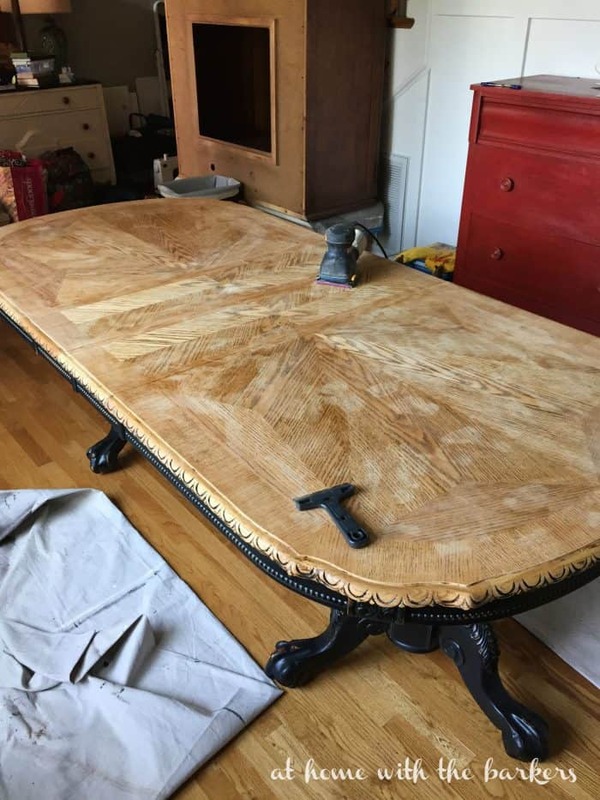 The best and easiest part is the finish. I had used my favorite wood conditioner that I had used for the beverage bar we built this past spring and I love how it works. I rubbed the table down with the conditioner, let it sit then swiped off. I was done! I reapply anytime the wood starts to feel dry. I’m so pleased with how it turned out and Ray loved it! The wood grain gives a great texture to this room that was missing. Now I should get back to all of those other things that were on my list before this bright idea happened! Ha! Sometimes I tackle a job with that approach. I’ve never done stripping indoors and while the Citrus strip is low oder, the smell didn’t bother you? I have a huge credenza I need to refinish but I don’t thnk I’m going to get hubby to carry back down 2 flights of stairs. 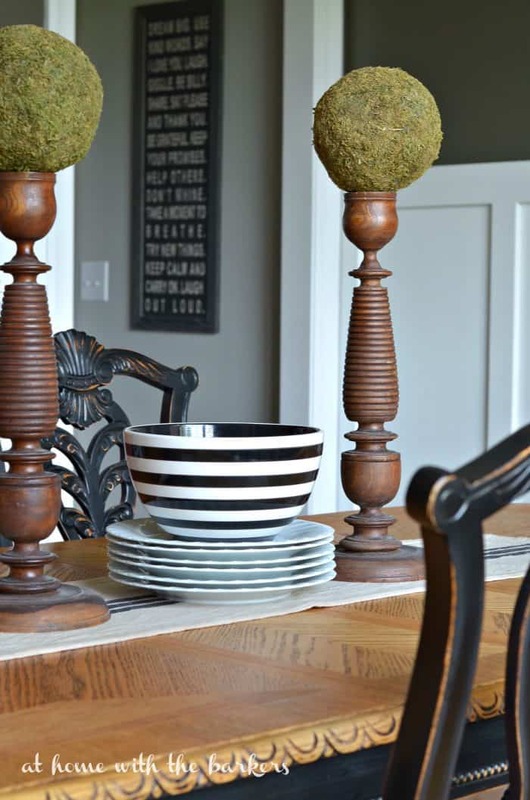 I always loved this look of painted table and wood table top. It looks fantastic in your space. Great job! It really looks great. I know it wasn’t easy but it was worth the time and effort. I bought an old dresser they had painted dark green then black,it was horrid,now it is a creamy white with crystal knobs. 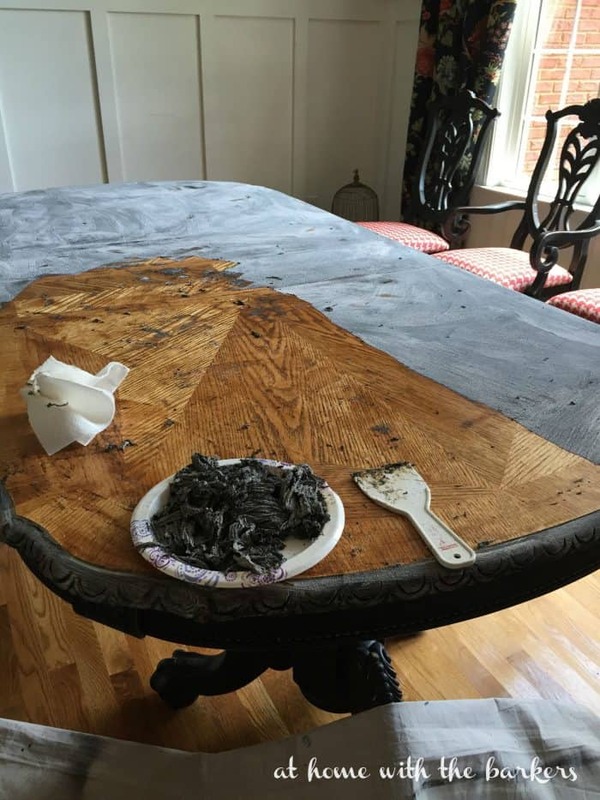 Anyway i love your table it has a beautiful top. 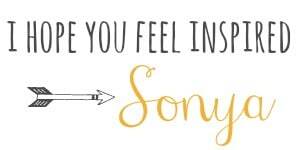 This looks beautiful Sonya. Great job friend!